Situated in the very heart of Val d’Isere and just a stone’s throw from the piste, Bel Sol enjoys arguably the best location in resort. Bel Sol is handsomely designed with the living area and dining accommodation on the upper level with impressive vaulted ceilings. Two separate lounge areas with plasma screen TV offer generous space for relaxing in absolute comfort. The two terraces provide stunning views of la face piste and the resort′s ice rink. 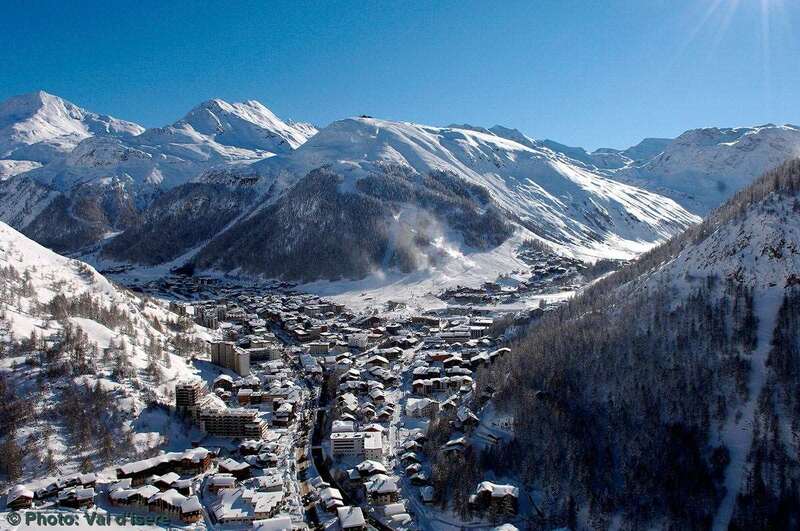 Bel Sol is situated in the very centre of Val d’Isere just 100m from the piste. Room 1: Master double bedroom with en suite bath, handbasin & WC. Small balcony. Room 2: Double bedroom with en suite shower and handbasin, separate WC. Room 3: Twin bedroom with balcony en suite bath, handbasin & WC. Balcony. Space for a cot.